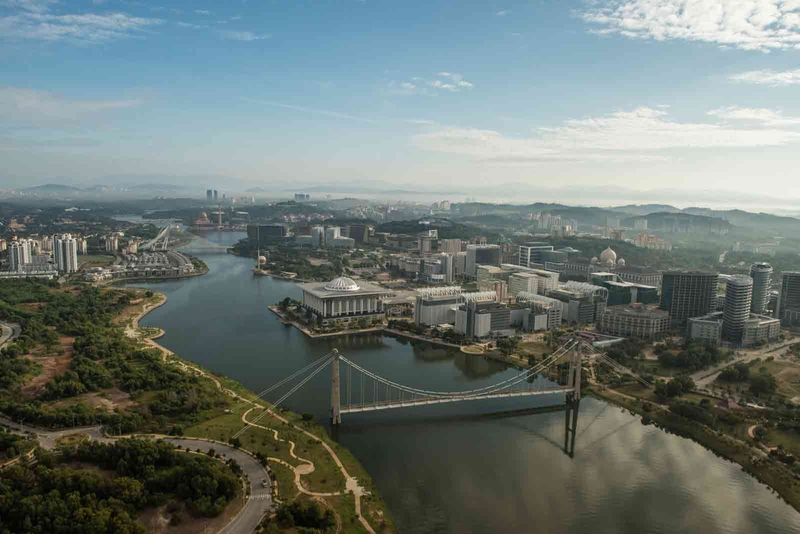 Witness Putrajaya at its finest from a bird's eye view! Other things to do here? Skyrides has also introduced SkyWarriors Rainforest Challenge that test your strength and endurance in a rainforest-inspired obstacle course. There is also SkyKids Warrior which is the version of SkyWarriors Rainforest Challenge for children aged 4 to 10 years old. There is also a SkyStage where you can enjoy musical and dance performances. What to bring home? After you buy your ticket, there will be a waiting room for you to wait to sign an agreement form for rules and regulations. In the waiting room, there is a souvenir counter where you can grab some goodies. Getting around Take a bus to Putrajaya Sentral. For RM1 per person, buses such as L02, L03, L04 or L05 will stop at Precinct 2 station. Then just walk across the road to Millennium Monument, that is when you will see the big balloon in the air. If you are driving, just key in “Skyrides Festival Putrajaya” in your GPS. Always remember that this ride is different from a hot air balloon. This balloon is filled up with helium, and operated by machine. Remember to read the rules and regulations together with the safety form for your own benefit. The best time to come here is at night, where you can enjoy the spectacular night view of Putrajaya. The weather during this time is also more conductive and less windy. It takes about 3 to 5 minutes to reach 500 feet. Make sure you get your camera ready for the best photos! The gondola can fit up to 30 people but for safety purposes, they only allow 20 people in it. Next to the Skyride, there is a free public parking space for you to park your car. The admission is priced for children at RM35 (MyKad) or RM65 (non-local) while per adult costs RM45 (MyKad) or RM73 (non-local). Take a helium balloon ride on the gondola in Skyrides Festival Park that lifts you 500 feet up and let you witness the 360 view of Putrajaya city from the top! There are no reviews on Skyrides Festivals Park Putrajaya. If you’ve been here before, write a review to share your experience.